This article shows how to add and delete comments within the comment bank for your courses. 1. 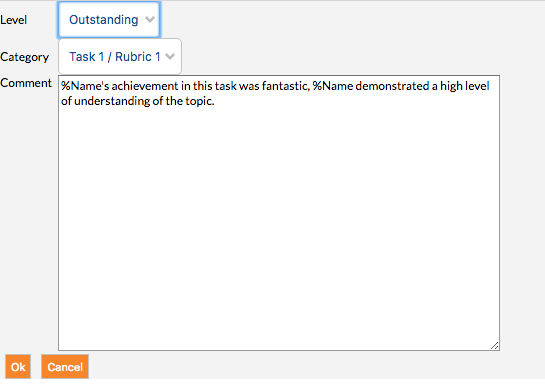 In Edumate, click on the + button in the top right hand corner, hover over ‘Teaching & Results’, then click on ‘Comment’. 2. The Comment bank page will appear. Choose the subject that your course falls under from the dropdown menu (if you’re not sure which subject your course falls under, as there are some subject double ups and some courses are under Australian Curriculum – ‘NSW AC’ subjects and some aren’t, please contact the Edumate Manager to be certain). 3. To add a category for comments, click the ‘add a new category’ button. Categories normally represent either task numbers or rubric points depending on how you want to structure your comment bank. 4. Once you have added a category, it won’t appear until you put comments in it. Click the ‘add a new comment’ button which will appear once categories have been set up. 5. The first option is the level of achievement that this comment represents, to aid you in producing your comments in the markbook once the comment bank is set up. The second option is the category that you want this comment to fall under. 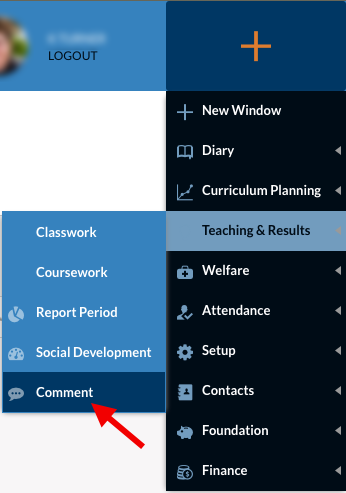 Finally when creating the comment, the text %Name can be used which will be replaced automatically with the student’s name when you are producing comments in the markbook. n.b You can add multiple comment options for each comment level, and they can always be removed and/or replaced later. 6. You will see the comment appear under the category you designated it after you click Ok, as shown below. 7. Remember to click ‘Save’! 8. Whilst comments can’t be edited, you can always go back and delete comments and then if you wish recreate them by ticking the box to their left and clicking ‘delete’, then saving your changes.